"Longing Heart" is airing on SBS Plus and OCN next year in January starring Lee Jung-shin from CN Blue, Lee Yeol-eum, and Seo Ji-hoon. It is the story about finding one's first love after ten years. It is an original web-toon that makes use of time travel. Lee Jung-shin takes on the role of Kang Sin-woo, a 28 year old who hasn't dated a woman since his first love from ten years ago. He time travels back ten years and as a teacher who tries to make his past self and his first love succeed in love, Han Ji-soo (Lee Yeol-eum). The cast includes Lee Tae-sun, Jo Seung-hee, Dohee, Kim Min-suk-III, Lee Joo-hyung, Kim Sun-young-III, Song Ji-hyun, and more. 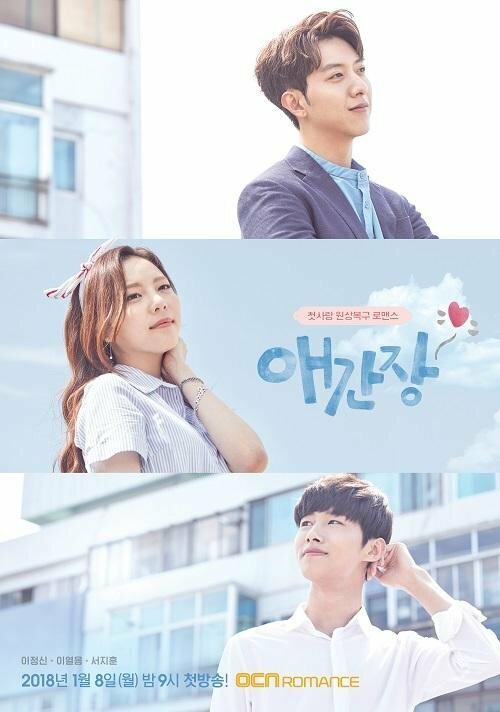 "Lee Jung-shin, Lee Yeol-eum, and Seo Ji-hoon to Star in "Longing Heart""